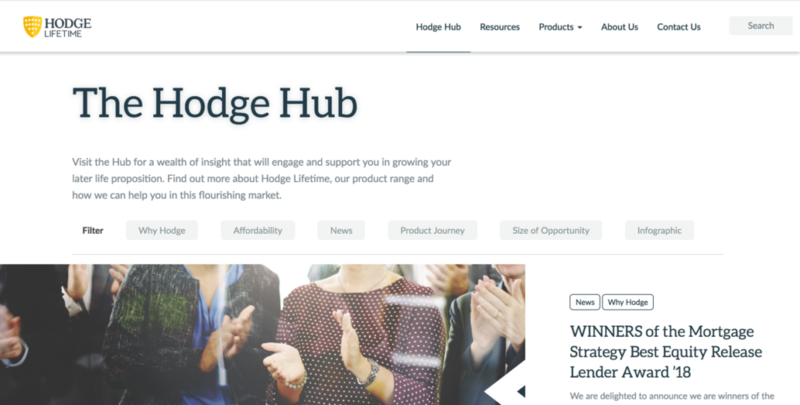 Hodge are a savings and lending bank founded by Sir Julian Hodge in Wales. 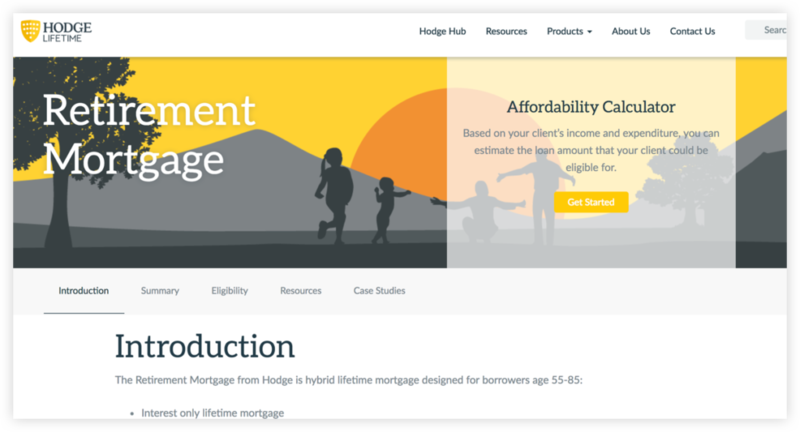 They offer lots of financial services, including later life lending through their Hodge Lifetime brand. They approached us to help them separate the information shown to later life clients and advisers, by building a website tailored just for advisers. We created a thoughtful website that makes it simple for advisers to find the right information for their clients. Downloadable resources, mortgage calculators and information on networking events are all laid out through a super simple and easy to use interface. Plus, we made a new custom search function that now makes it incredibly quick to find anything straight from the header. We think excellent websites start with listening to our customers, being driven to understand the root of their problem, and solving it. Job done. Contact us to find out even more!